The watch size refers to the dial or face's diameter in millimeter. If you prefer a larger watch face we recommend 40mm for men, and 36mm for women. If you prefer a smaller watch face we recommend 36mm for men, and 32mm or 28mm for women. 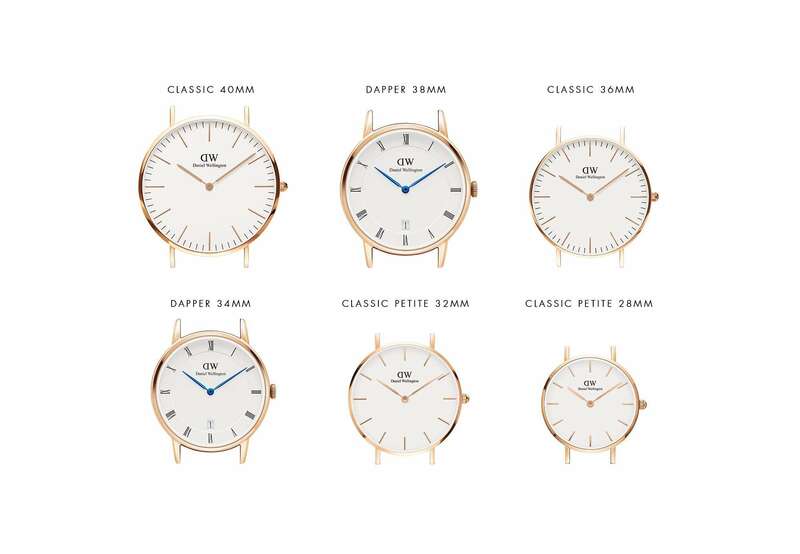 Below, you can find all available dial sizes listed according to size. Comparing two sizes can be easier when seeing both on the same wrist. When measuring your wrist, make sure to measure the part where you would wear the watch.